(Newser) – A Border Patrol agent was killed and another wounded in a shooting near the US-Mexico border in Arizona, the Department of Homeland Security said today. 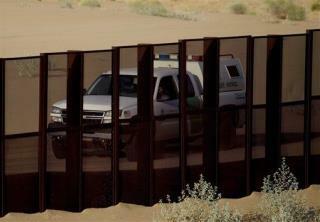 The agents were shot while patrolling in Naco, Arizona, shortly after midnight today, according to the Border Patrol. The wounded agent was airlifted to a hospital after being shot in the ankle and buttocks, according to Homeland Security. I've been through the Naco crossing. It's south of Bisbee, Arizona. Naco, Sonora is known for it's good dentist offices. Naco, Arizona is near where they found the ice age mammoth bones with the Clovis arrowheads. It's a pretty sleepy border crossing but its best to come and go when there's some traffic or you might become some bored border guard's hour of entertainment. Border agents kill Mexicans without cause - and are surprised when they shoot back. Arrogance blinds these corrupt civil servants.